This Farm is located near Hamilton. Old Owner of the farm was Anees Siddiqi however it has since been bought. Information about new owner is being collected at this time. They are a small family run business since 2008. 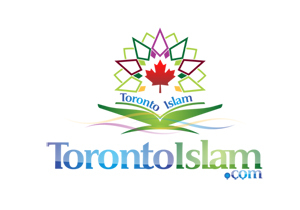 They provide Halal Meat in the GTA to Niagra, Offering services that are offered by a handful of farms. You can do zabiha (Slaughter) yourself for special times like Qurbani on Eid, Sadiqa or Aqeeqa. Went there for Haqeeqa. I talked to the Mr. Siddiqi beforehand and he told me to come two days later. He already had the animal ready. They already have person that does the Qurbani. In few hours my animal was done and we brought the meat home. Had to get it cut from the meat shop into small pieces as that is something they do not do. It was a good experience. I go there for Qurbani too. Hi, Just wanted to let you know that my family has bought the farm over from the previous owner. Could I specify some changes to the page as we are the owners now? Please get back to me as I have recently acquired this business. The new name is Smithville Halal Meat Farm. You can contact me at the email stated. I would like ot edit the Description, Products offered, and a new number. Hi, I have recently emailed you regarding this page. I have recently bought over this farm and renamed it Smithville Halal Meat Farm. I see no such changes and no one has gotten back to me. I hope to hear from you soon.